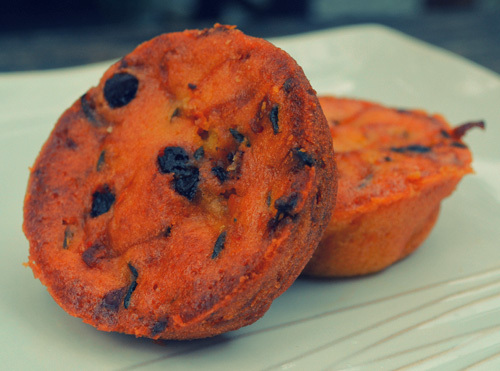 Squash Muffin, a must taste! If you are a muffin lover, we suggest you try the Squash Muffin. It is very tasty and very healthy. Squash or also known as "Kalabasa" ( in the Philippines) has a lot of health benefits. It is known food good for the eyes. As they said, eat squash so you will have a good eye sight. It is good for the eyes. It is rich in lutiein that helps to prevent onset of cataracts and macular degeneration. It is good for the heart. It is low in calories and cholesterol-free. It is good for the bones and colon. It is rich in vitamins and minerals. Squash is rich in vitamin C, vitamin A, riboflavin, magnesium, folate, copper, phosphorus, potassium, manganese, and fiber.